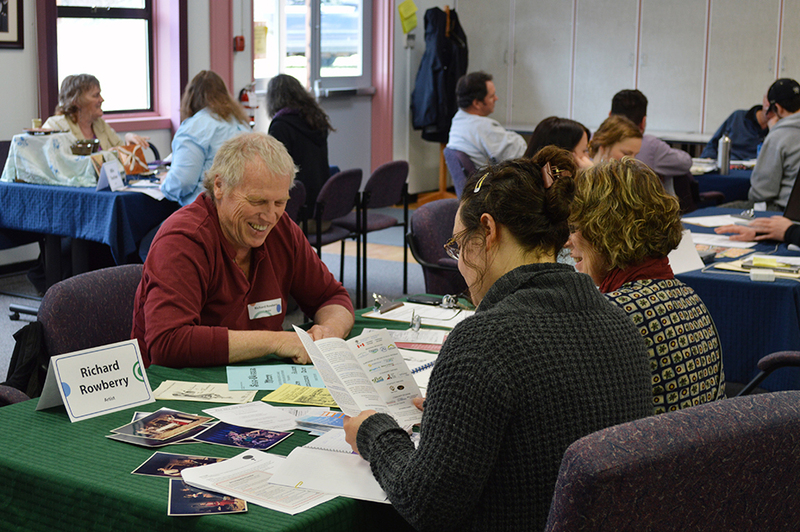 This week, ArtStarts staff hit the road to facilitate professional development events for educators and artists in the Columbia Basin region of BC. 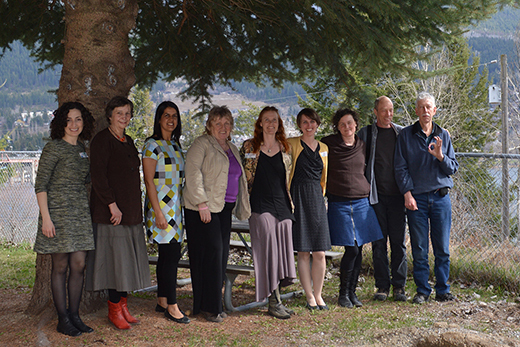 We were thrilled to have the opportunity to visit both Nelson and Revelstoke, thanks to support from Columbia Basin Trust, and BC Arts Council and the Government of British Columbia's Creative Futures program. 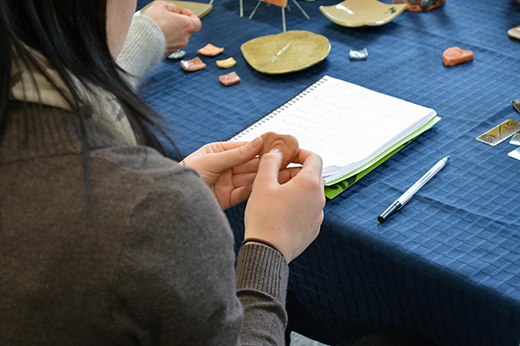 In each community, we brought together engaged educators with professional artists who have experience working with young people in a classroom setting. 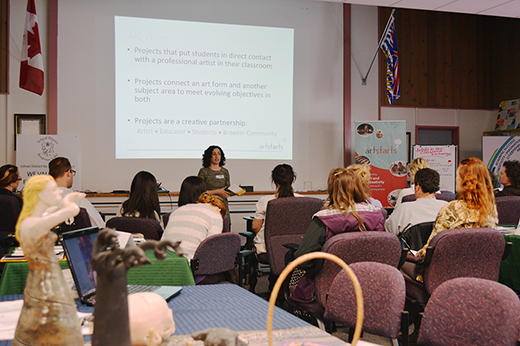 ArtStarts' role was to present the opportunities available, help build strong connections between educators and local artists, and provide the time and space for these creative teams to dream and plan. 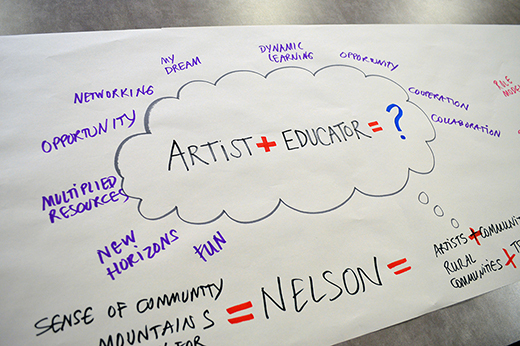 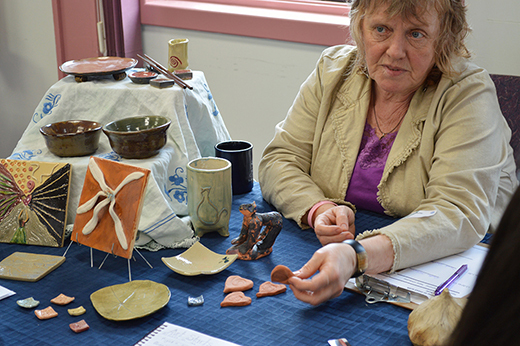 In this post, we’ll share some information about the Artists in the Classroom Exchange in Nelson. 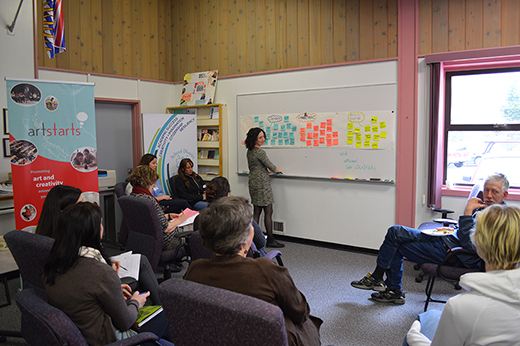 Stay tuned to learn more about the event in Revelstoke. 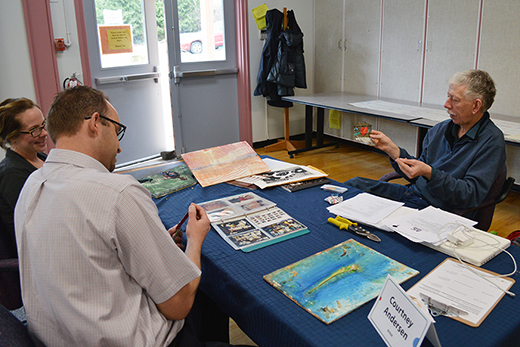 The Artists in the Classroom Exchange took place at the SD8 school board office in Nelson on April 7, 2014: a district-wide professional development day. 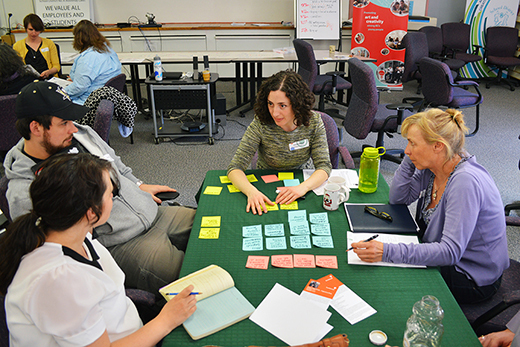 Educators from across the district—including elementary and high school classroom teachers, administrators, pre-service teachers and educational assistants—gathered to explore how to spark creativity in the classroom through engaging professional artists. 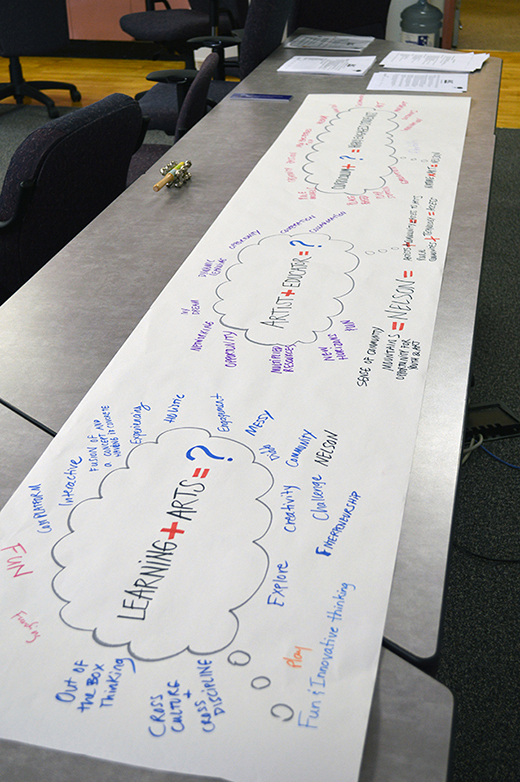 To warm up our minds in the morning, we brainstormed answers to some "equations" relevant to the day. 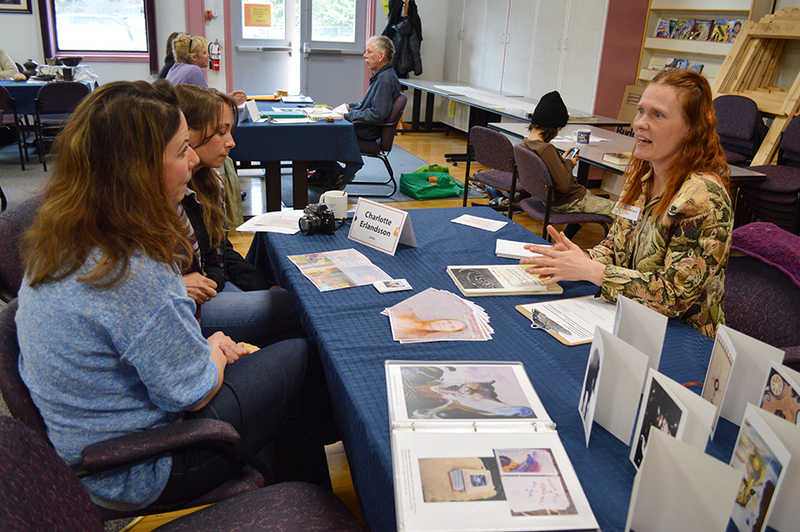 Together, we walked through the Artists in the Classroom grant, from sample project ideas to details on how the application process works. 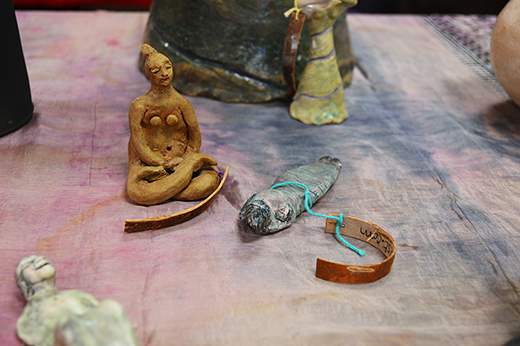 Then it was time to meet the artists. 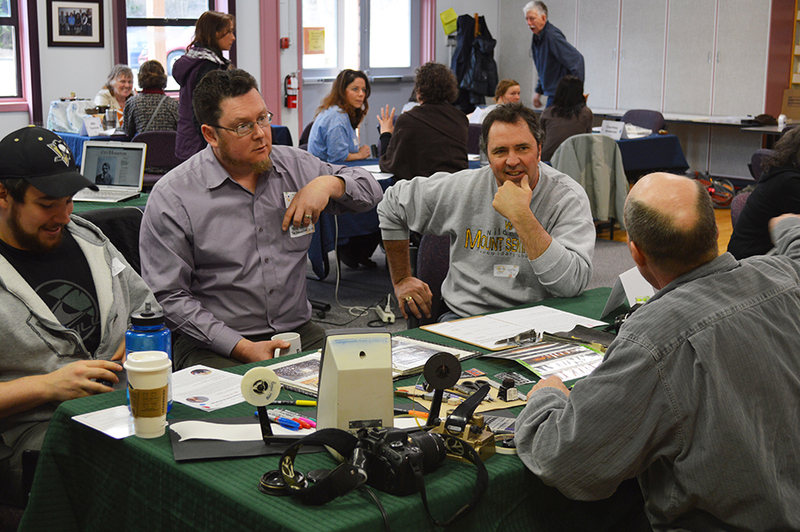 Small groups of educators met each of the 7 artists present in a "speed dating" format: each group had 10 minutes to talk and share project ideas before moving along to another table. 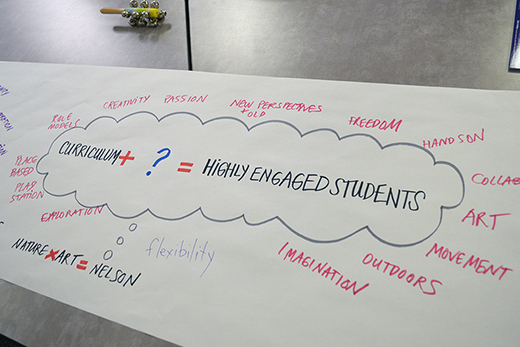 After lunch we delved deeper into some of the ideas that had begun to percolate earlier in the day. 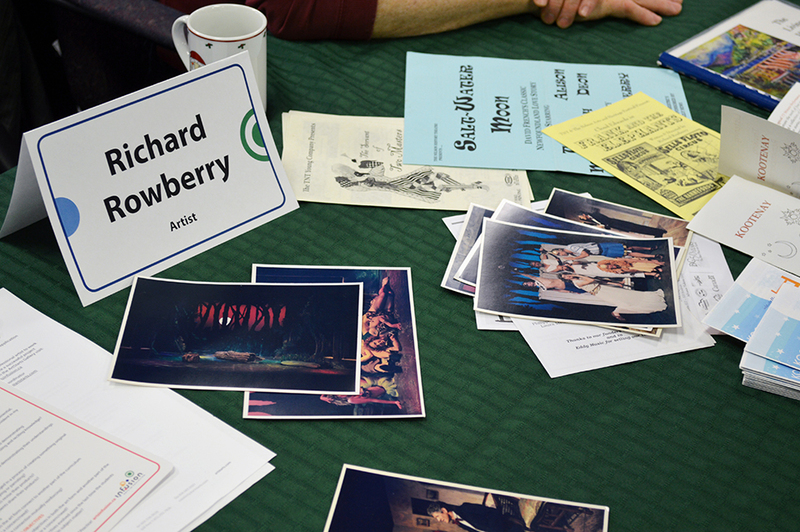 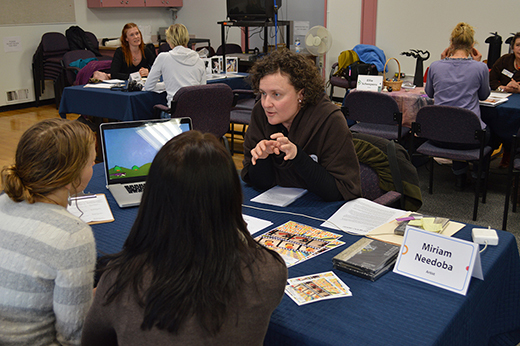 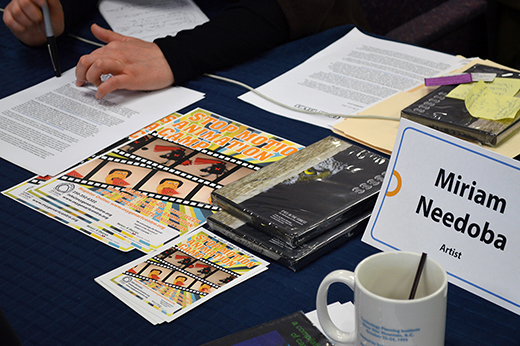 Educators had the chance to meet with individual artists to flesh out project ideas and grant applications, or bounce around ideas about the connections that could be made between various areas of curriculum and artistic disciplines. 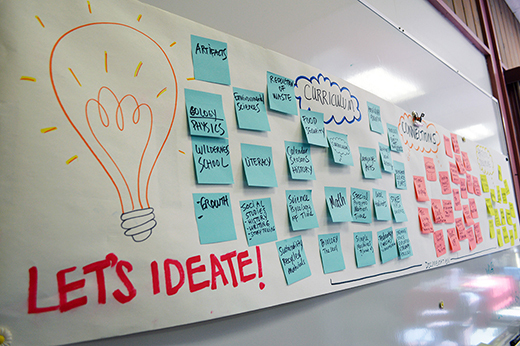 Quite a few inspired, tangible project ideas came out of this session, which we hope will be brought to life in the upcoming school year! 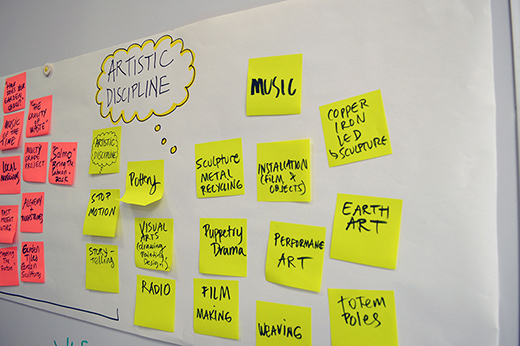 Of the educators we surveyed at the event, none had previously applied for Artists in the Classroom grants, but by the end of the day, 100% planned to submit an application to fund an artist residency in their school. 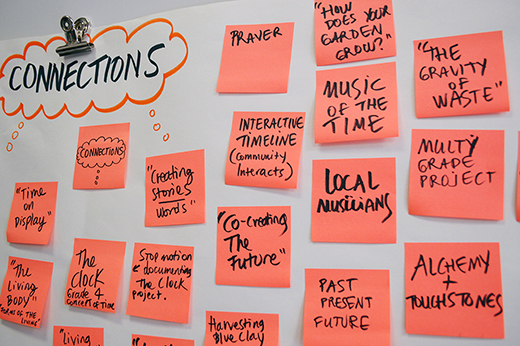 This day ended with everyone sharing their reflections on how what action they planned to take after the day's event. 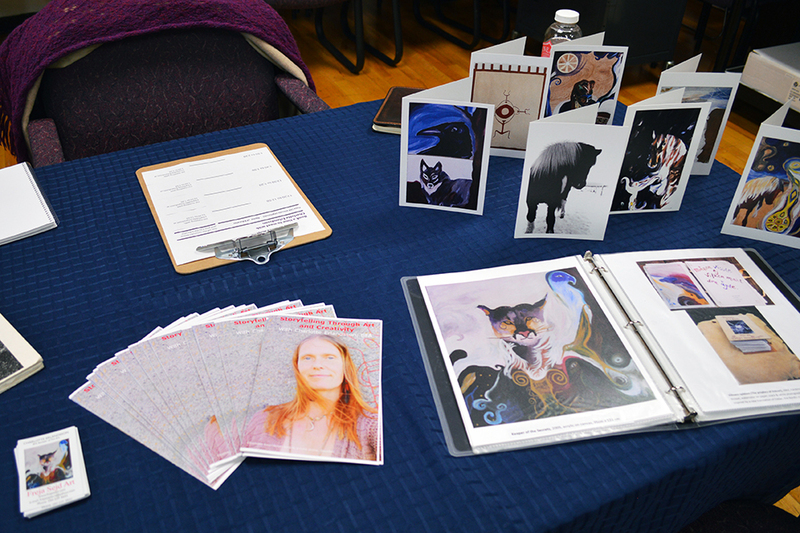 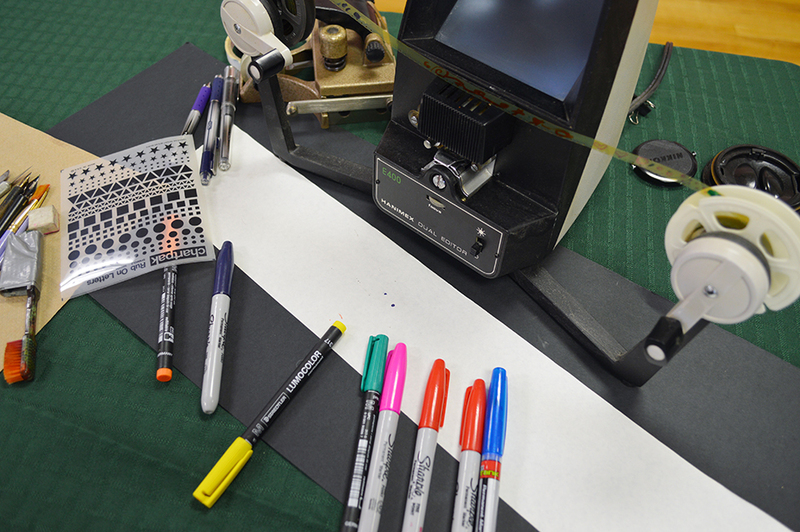 Many planned to submit applications for Artists in the Classroom grants and many also wanted to share what they learned with other educators in their schools. 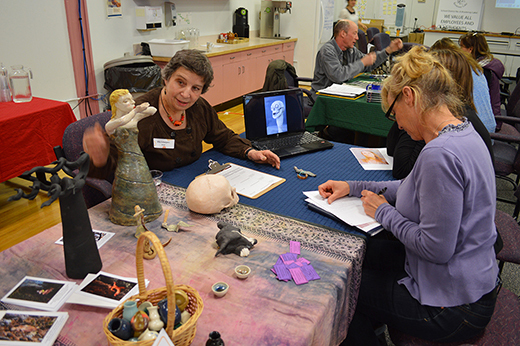 The artists expressed that they found incredible value in making connections with educators and felt inspired by the educators' commitment and dedication to activating learning for their students. 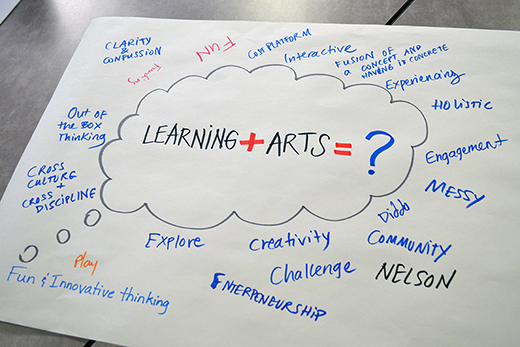 We're looking forward to seeing how all the inspiring talent and energy in the room will come together to activate learning through the arts for young people in the Columbia Basin.